Explore the latest within crop production. 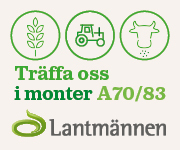 Borgeby Fältdagar offers a wide range of agricultural crops. The show presents the latest news within crop production, for example on varieties, crop protection and fertilisation. 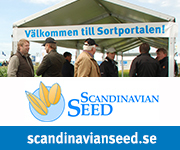 Get a short and intensive review of crops grown at the show. The entrance fee includes guided tours with our HIR Skåne advisors. Drop-in on a tour, however groups may be pre-booked. The exhibiting companies also show demo cultivations. Guided tours in English 2 times daily. Tour starts at the HIR Skåne stand.